I received my September Love Me Beauty ‘bag’ last week – it is another monthly beauty subscription service which I am currently subscribed to. Love Me Beauty is a monthly UK beauty subscription service which costs £10.00 (+ £3.95 p&p) per month and there are also 3 & 6 monthly subscription options available as well. Each month you’re a member, you’ll get 60 credits to spend on a selection of products in their on-line ‘shop’ (sample, deluxe sample and sometimes full size items available at different ‘credit’ amounts) – you can also buy additional credits each month if you want. New products are launched every 2nd of the month but if there are products still available from the previous month they also may be included within the product selection (they could be included for a number of months). You can find out more details via link here. This month I had more credits to spend as a friend had v kindly signed up using my link which meant I got an additional 60 credits and my friend got 30 extra credits – Therefore I was able to get the following products; though still did not spend all my credits this month so can carry them over to October. We also got a sample sachet of the New Bare Minerals BAREPRO Foundation to try. 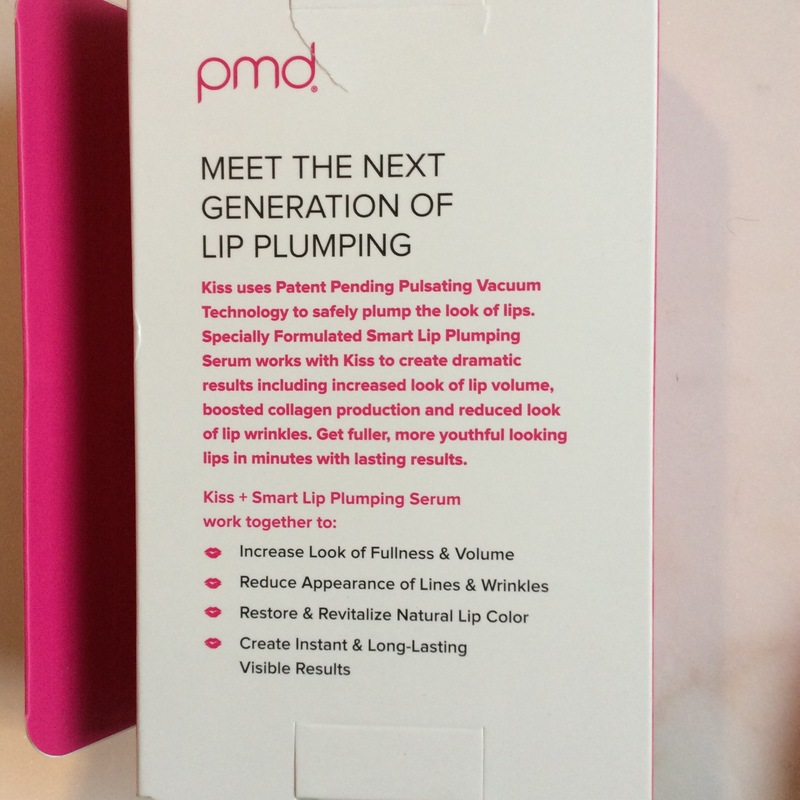 With the exception of the pmd Lip Plumping System (as just too big to fit), all the rest of the items came in a zipped cosmetic bag – there usually is a different zipped bag each month (loved last months bag, see photo below). Although this months is great value – preferred last months selection of products. I had also managed to get a Kat Von D sample lipstick in last months selection – please see photos below, love it and the studded packaging is also divine. Recently I have been more impressed with the Love Me Beauty selection that is why I re-subscribed a few months back – definitely would recommend checking it out when you get a chance. If you are considering subscribing for the first time and use my promo code LIZ50427 you will get an additional 30 credits – thank you in advance if you do. Look forward to any comments you may have – if you have received this month’s bag / selection would love to know what you chose / thought. Thank you – enjoy the rest of the week and take care. The lip plumper is just amazing. I never think that these gadgets are going to work but this one is just incredible and works well. 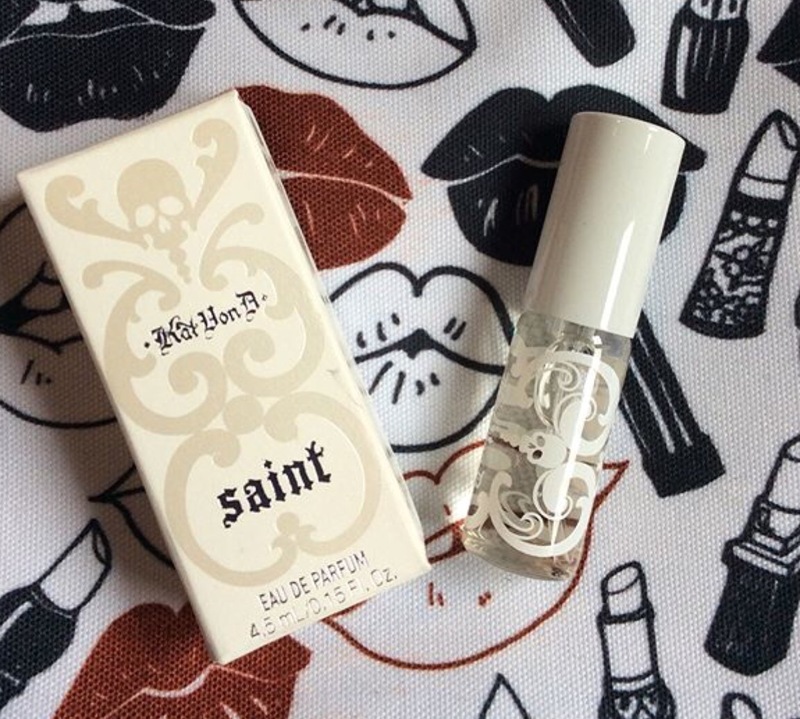 The perfume I got was Saint and I like it a lot. The perricone cleanser takes a bit of getting used too as it’s rather gloopybut now I find it difficult to go back to my usual cleanser. For constant use you would need to be rich. I love the Kat Von d packaging too the only thing is I do find it drying to use. I am really enjoying love me beauty and many thanks for the informative post which I’ve enjoyed reading this morning.